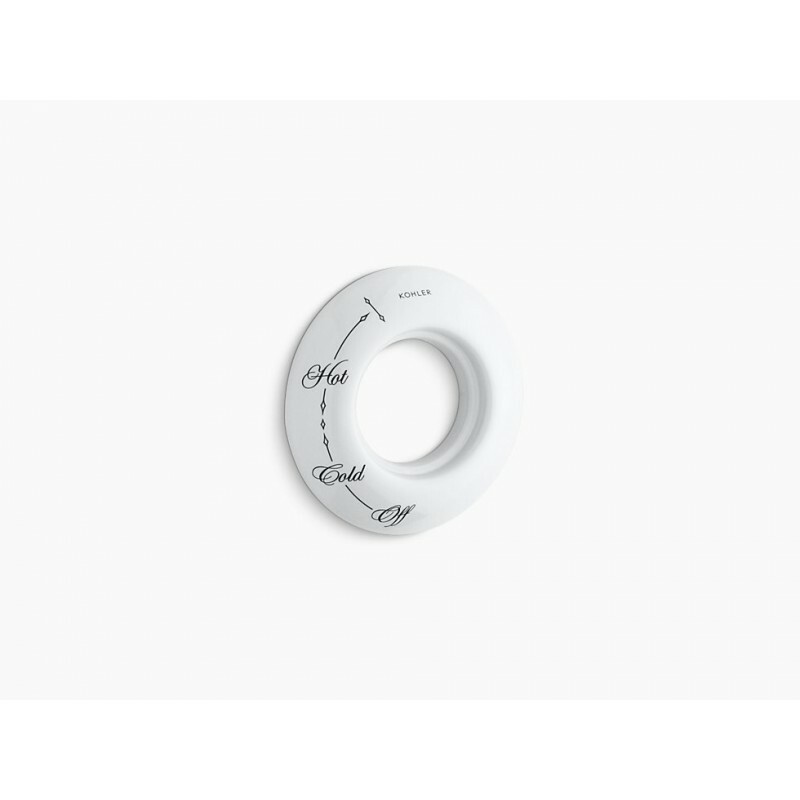 An elegant finishing touch for traditional decor, this ceramic dial plate brings nostalgic charm to your bath or shower. 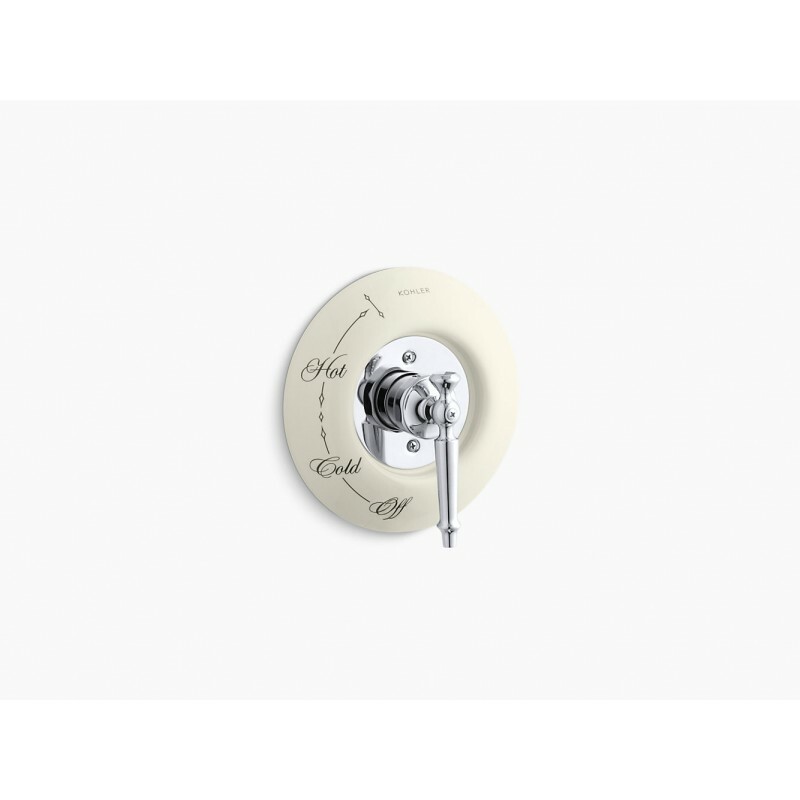 Scripted letters indicate hot or cold temperatures, and the durable ceramic construction ensures this stylish plate will maintain its beauty for years to come. 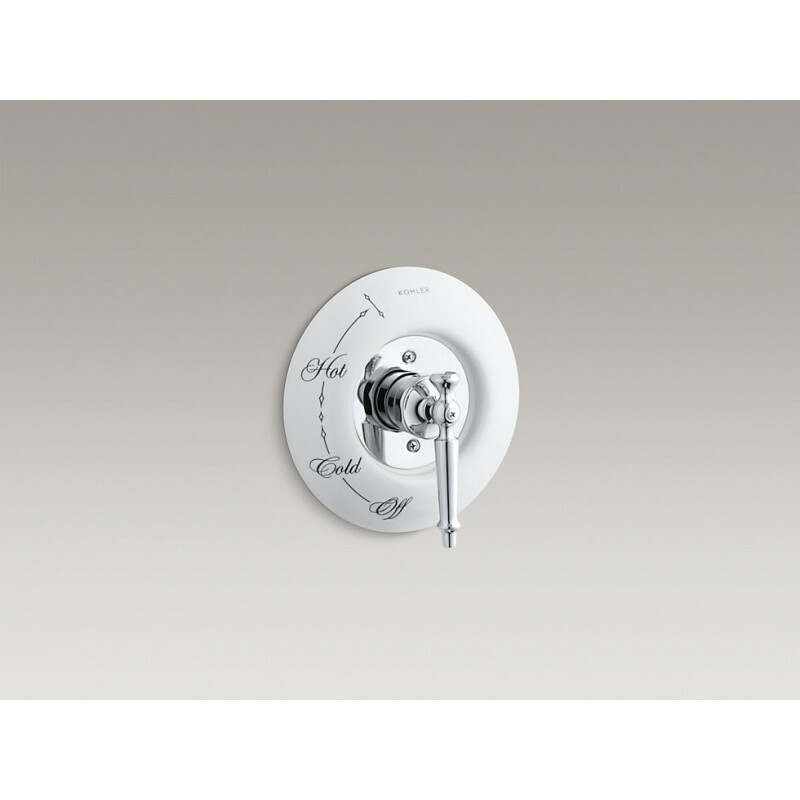 This plate surrounds select Antique and IV Georges Brass bath and shower faucet trim.